The Hindu Young World Quiz is India’s largest inter-school live quiz. This year the 18th edition of the Quiz for the southern districts of Tamilnadu was held in Madurai on 22nd January. It was conducted by the eminent quiz master Mr.V.V.Ramanan. Students from classes 7, 8 and 9 took part in the Senior category. In the Preliminary round 106 teams battled it out to win one of only six places the grand finale. A magnificent performance saw two teams from Sri Jayendra coming first and third and taking two of the hot seats on the stage: the other four teams were from Madurai schools. We are proud to say that Sri Jayendra is the only school from Tirunelveli to reach the finals of this prestigious quiz each year for the last three years. As well as such things as an audio/video round and an India-themed round, the teams also had an opportunity to identify a South Indian Actor whose face was hidden behind a matrix of 24 questions, each correct answer revealing a square. In an exciting competition where the lead kept changing Nantha Balan & Mohamed Sameer eventually started to dominate answering all the questions thrown at them and additionally playing 8 buzzer questions at lightning speed. This took them to an unbeatable score of 185 points pushing Jeevana School, Madurai into second place trailing 85 points behind. 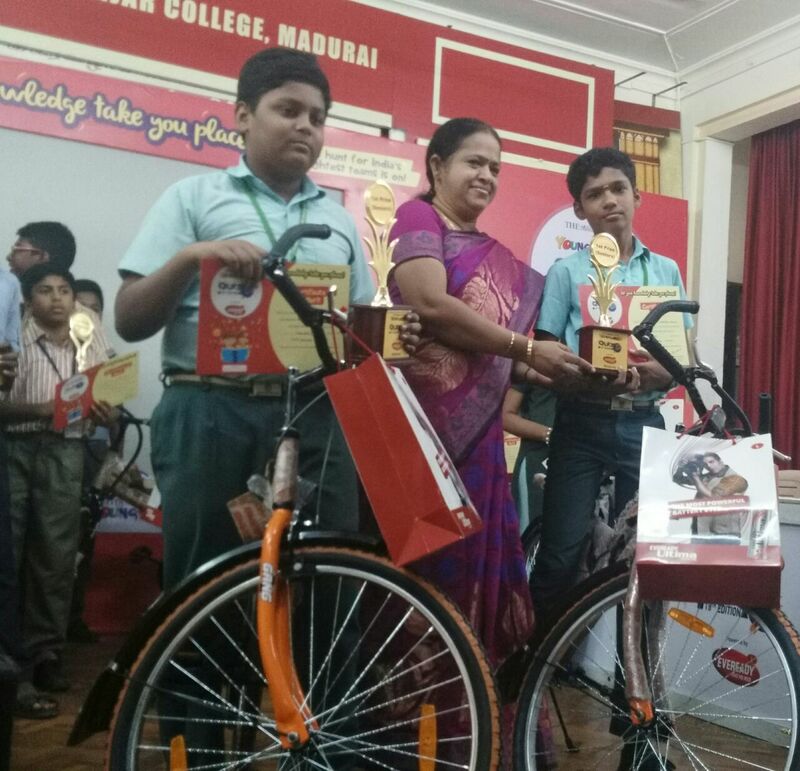 The teams in the final were awarded trophies, goodies, certificates and gift hampers and additionally the overall winners, Nantha Balan and Mohammed Sameer of class 9, were each presented with bicycles. 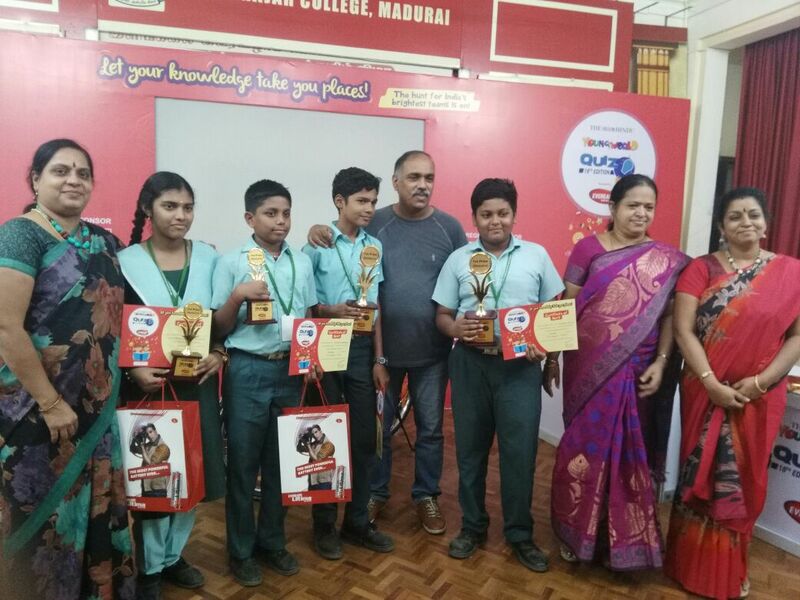 Our Principal Mrs.Usha Raman congratulated our school quiz teams for achieving this great feat!